The bride wore a white dress. The groom a traditional Scottish kilt. 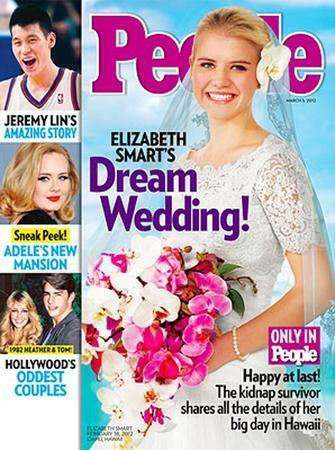 People magazine has the exclusive photos from Elizabeth Smart 's last-minute marriage in Hawaii. The new issue that hits newsstands on Friday has a picture of Smart in her wedding gown on the cover.